Ready to step up your game a notch? 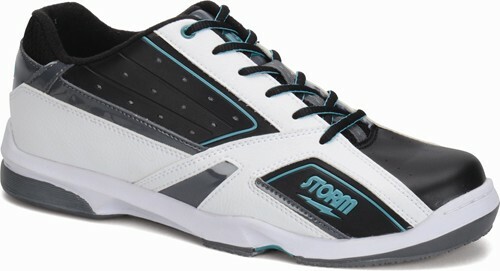 Check out the newest model of the Storm Men's Blizzard! The latest model in this line is updated to fit right handed bowlers' needs with a push off sole on the right foot and a patterned slide sole on the left. Want a great shoe at an affordable price? Pick this up today! These shoes have a nice comfortable fit. I like the color scheme, also. They fit great and very comfortable and so far working great on the lanes but just hope it stays that way, I've only had for about month but only time we'll tell, but as of writing this review for now all in all very satisfied. Oddly enough, the sole of these shoes is multilayered. Around the front perimeter is a band of material, a gap and then another area of material. 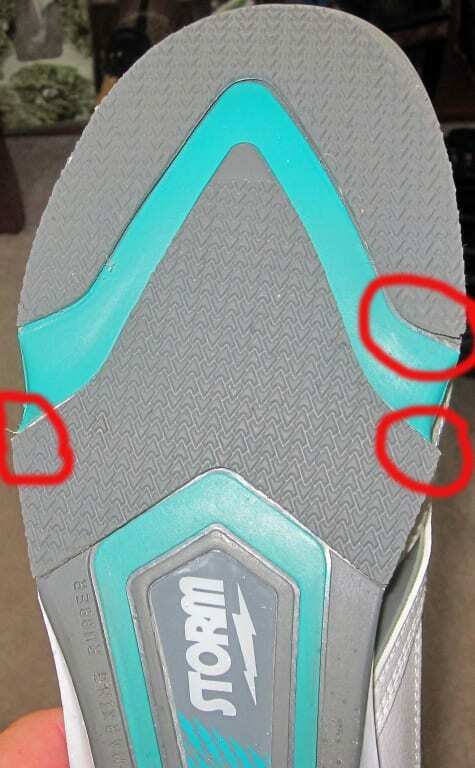 What has happened with my shoes is that the edges of the material areas lifted. It felt like I was stepping on something soft. Disconcerting when you're going to the approach. I did not catch these areas anywhere that I remember and can't explain why the edges separated. I'm attaching a picture of the sole and where it separated. After several attempts with different adhesives I finally found a product that holds two of the areas down, but the third area (upper right in the picture) refuses to stay down. Unfortunately, I would place these shoes in the "cheap" category, not "inexpensive". My son has had nothing but problems with these shoes since about 2 weeks after he got them. The rubber on his right foot comes off. We have tried to glue it back on several times, but to no avail. Very disappointed in the quality of this product. Do both shoes have a slide or it one? If one, is it interchangeable? This is a right handed model so only the left foot has a slide. This is not interchangeable. The sole is glued to the bottom. Due to the time it takes to produce the Storm Mens Blizzard White/Black/Teal Right Hand ball it will ship in 2 bus. days. We cannot ship this ball outside the United States.